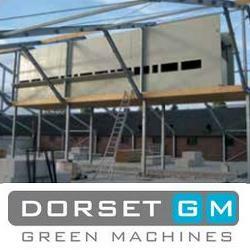 Dorset Green Machines, a Dutch machine manufacturing enterprise, is leading in biomass drying systems and thereto related equipment. We develop and produce solutions for processing organic waste streams, air cleaning, electronic identification and animal housing. We are specialists in using available residual heat for drying biomasses, such as manure, wood, digestate and sewage sludge. Dorset produces anything from plug-and-play container solutions up to complete organic fertilizer factories. Our latest development is the pyrolysis plant: turning biomass etc. into 50% oil/gas and 50% biochar. The oil and gas provide fuel for creating green energy through combustion. The char can be used/sold as a concentrated fertiliser or fuel. 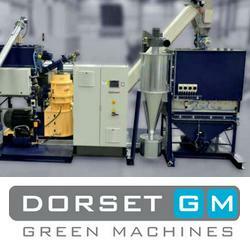 Dorset Green Machines BV develops and produces solutions for processing organic waste streams, air cleaning, electronic identification and animal housing. Dorset was founded in 1984 by Mr. Henk Haaring for the import of Daltec feeding systems for pig feeding. In late eighties and early nineties more divisions were founded that started the development and production of a variety of machinery and electronic products. Today the group consists of three divisions, each with their own development and production. The group is globally active with a headquarters in the Netherlands. The Dorset Group as a whole, is known for its thrive for innovation and for operating strongly international. In order to maintain a close relationship with the customer, Dorset has a network of sales & service offices in Germany, Italy, Turkey and the United States. Read more on the Website of Dorset!